Aksakovsky people`s house, laid in Ufa in 1909 year in memory of Russian writer Sergey Timofeevich Aksakov, built on voluntary donations. World War I, followed by the Civil War prevent the building from being completed and it will be finished in 1928 - 1935 years. 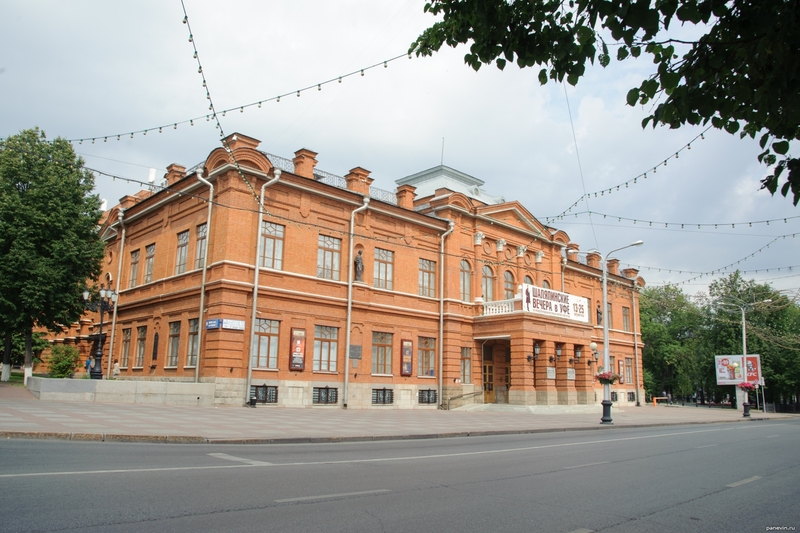 In different years, the house was called the Palace of Labor and Art, the House of Culture, and with 1938, it Bashkir state Opera and Ballet Theater. Ufa — sights and monuments on a photo. Interesting architecture.